Get a new angle on sightseeing famous sights such as Kiyomizu-dera Temple, Toji Temple and Chion-in Temple, and even as far as Osaka! Hassle-free transaction! Skip the ticketing line and get scanned to enter the observatory. Highly recommended! 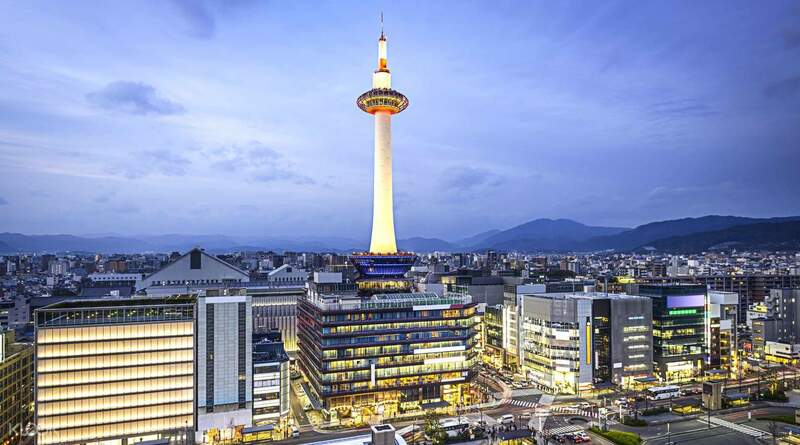 Kyoto Tower is an iconic sight towering over the heart of central Kyoto. 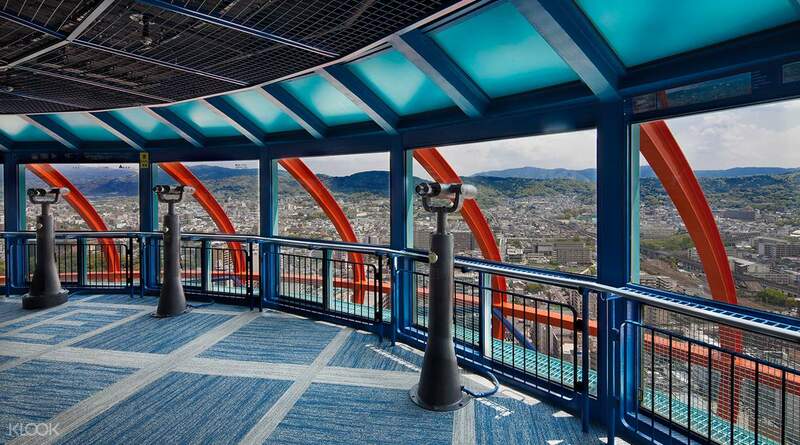 Commanding a panoramic view over the city, it is the tallest construction in Kyoto, featuring an Observation Deck 100 meters above ground offering views to famous Kyoto sightseeing spots such as Kiyomizu-dera Temple, Toji Temple and Chion-in Temple and even as far as Osaka on a clear day! Watch the landscape change from season to season and make use of the free telescopes on the 5th floor of the observation deck for a closer look at the sights. 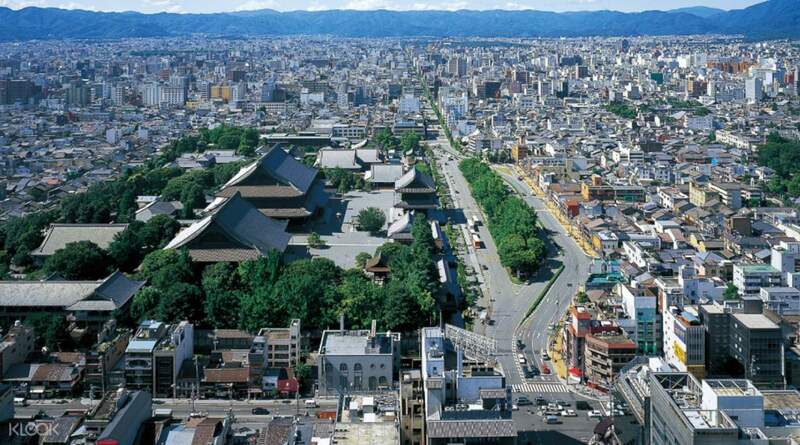 Sightsee Kyoto's famous temples from 100 meters up and see as far as Osaka on a clear day! My family loves the Christmas decorations there, we had a free small Christmas calendar photo and paid 1100 yen for the extra photo. My family loves the Christmas decorations there, we had a free small Christmas calendar photo and paid 1100 yen for the extra photo. Just show the voucher and ride up!!! Great discount!!! Great view!!! Thank you very much, KLOOK!!! Just show the voucher and ride up!!! Great discount!!! Great view!!! Thank you very much, KLOOK!!! very convenient because no need to fall in the long line at the ticket counter, you just have to present ypur mo ile voucher and you can go directly to the elevator going to the deck. 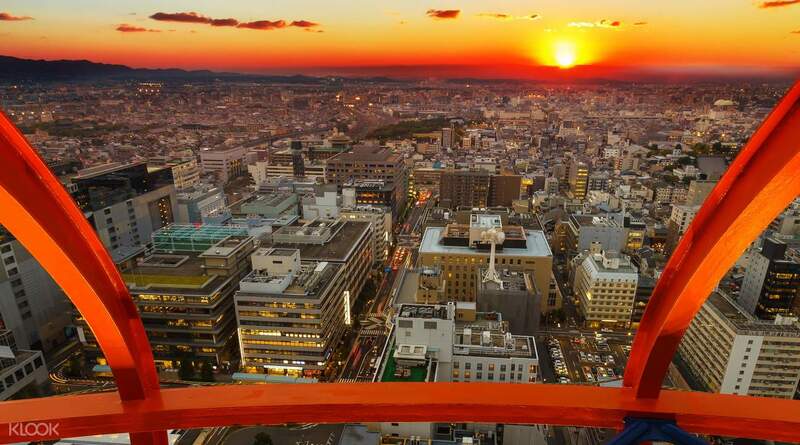 the view from above is priceless, you’ll be able to see the citylights of kyoto. very convenient because no need to fall in the long line at the ticket counter, you just have to present ypur mo ile voucher and you can go directly to the elevator going to the deck. the view from above is priceless, you’ll be able to see the citylights of kyoto. The tower observation area is quite small. However the views are spectacular. Binoculars and telescopes are also provided for use free of charge. The tower observation area is quite small. However the views are spectacular. Binoculars and telescopes are also provided for use free of charge. Easy access. Exit from Kyoto station and you will see the Kyoto Tower. The staff very friendly, helpful and nice with others. View from the tower was mesmerising, you will see the whole Kyoto. You also will shop the souvenir before exit this place. Really enjoy and perhaps will come back with family and friends. Easy access. Exit from Kyoto station and you will see the Kyoto Tower. The staff very friendly, helpful and nice with others. View from the tower was mesmerising, you will see the whole Kyoto. You also will shop the souvenir before exit this place. Really enjoy and perhaps will come back with family and friends. It is very convenient to have purchased tickets via klook. We avoided the queue. It is also a good experience to have seen Kyoto from a high point. This is, by far, one of our favorite observatories because of their telescopes and directional signages on where to find key points of kyoto such as temples, shrines, buildings, etc. It is very convenient to have purchased tickets via klook. We avoided the queue. It is also a good experience to have seen Kyoto from a high point. This is, by far, one of our favorite observatories because of their telescopes and directional signages on where to find key points of kyoto such as temples, shrines, buildings, etc.